I’m 20 miles into a 33-mile drive through the winding roads and stunning scenery of the Galloway Forest National Park when I begin to wonder why Scotland’s National Book Town is so difficult to get to. As the sun cuts between firs and roads weave through lochs, I conjure an image of a hidden wonderland, like the town of Spectre in Tim Burton’s Big Fish. A lost city of books, perhaps. Book Narnia. Even its name has a fairytale quality: Wigtown. Filled with rows of stone houses and brightly painted door and window frames, Wigtown is home to 10 bookshops and some 900 people. Along with being Scotland’s National Book Town, it also hosts the Wigtown Literary Festival each September. During the festival the town gets as many as 10,000 visitors, but today, as my rental car rolls down Main Street, all is relatively quiet. Less Big Fish, more Local Hero. 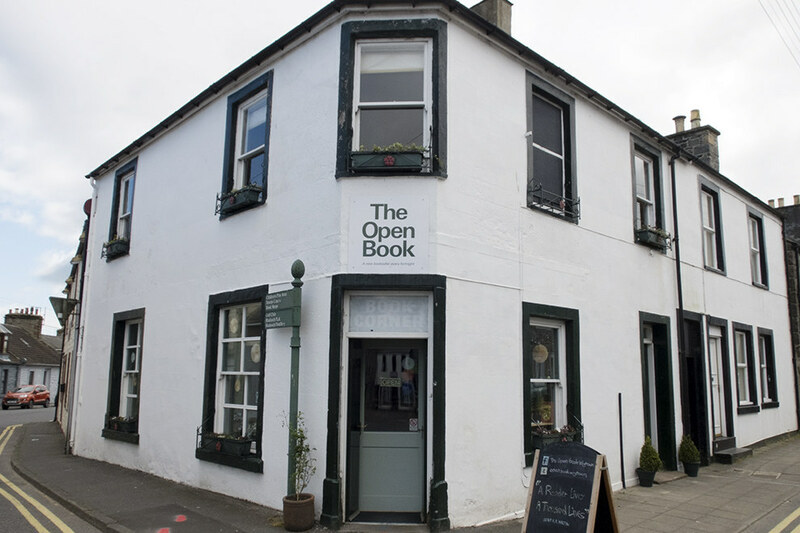 I pull up outside The Open Book, a small used bookshop with a spacious flat above. You can rent the flat on Airbnb. When you do, you get the keys to the shop, too. It’s the world’s first Airbnb bookshop.